Compare electric blankets from Sunbeam, Breville, Kmart and Target on performance & reliability, value for money, ease of use, additional features, ease of care and overall customer satisfaction with Canstar Blue’s 2018 review & ratings. Sunbeam has topped Canstar Blue’s customer ratings for electric blankets, scoring five-star reviews for overall satisfaction, as well as performance & reliability, ease of use, additional features, and ease of care. 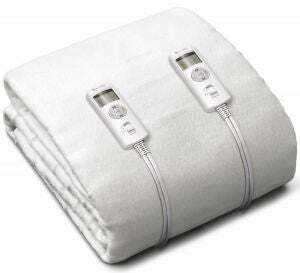 If you’re someone who really feels the cold at night, then an electric blanket could be your best friend. 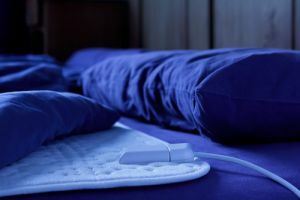 Electric blankets are very adept at keeping you toasty during the cooler months, are much cheaper than an air conditioner or portable heater, and are much more convenient than wearing 40 jumpers to bed. But not all electric blankets will leave you with that warm, fuzzy feeling when the temperature drops at night. So, which brand do Aussies trust to keep their toes warm at night? 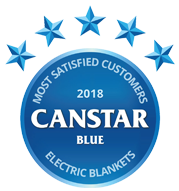 Canstar Blue sought out the opinions of hundreds of Aussie consumers to find out exactly what they think of their electric blankets based on a number of factors. In our inaugural electric blanket ratings, Sunbeam has heated up the competition, with five stars for its performance & reliability, ease of use, additional features, ease of care and overall customer satisfaction. It was also a respectable four stars on value for money. Breville and Kmart had to settle for four stars for overall satisfaction, while Target received three stars. Sunbeam was the standout performer in most areas, but Kmart was the only brand to record five stars on value for money. Read on as we review what each of these brands, and others, have to offer between the sheets. We’ll also look at something of the factors worth considering when you decide which electric blanket will be best for your needs and budget. The brand Sunbeam began in Australia in 1902, selling a range of consumer appliances with the main focus on kitchen products. In terms of electric blankets, the Sunbeam website displays more than 25 options to choose from, sorted by size and type. Construction finishes include Polycotton quilt and Australian wool fleece. Prices range from $45 for the Quick & Cosy Single Bed Fitted Heater Blanket to $479 for the more advanced King sized models like the one pictured. Sunbeam achieved five stars for overall customer satisfaction and in most categories, except value for money where it was rated a still respectable four stars. 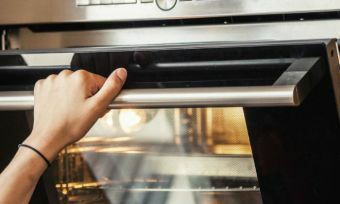 Another Australian manufacturer Breville, founded in 1932, offers a number of small home appliances including microwaves, blenders and electric blankets. It has a modest range, consisting of 10 different electric blankets at the time of writing. Breville’s BodyZone heat technology is said to provide individual heat settings for both your upper and lower body. Prices starts from around the $100 mark for the Lush Plus reversible heated throw and max out at $300 for the BodyZone King quilted fitted heated blanket. Breville was rated four stars overall in our 2018 review, as well as for performance & reliability, additional features and ease of care. It recorded three stars in two other categories – value for money and ease of use. 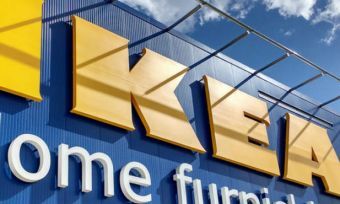 The cheap and cheerful department store specialising in cheap homewares also offers electric blankets for Aussie consumers. Sizes range from single to king, but these are a seasonal buy only, so we’ll update you on prices when they come back in stock. Kmart was rated four stars for overall satisfaction in 2018 and earned five stars on value for money. It earned four stars for performance & reliability, plus ease of use, with just three stars when it comes to additional features and ease of care. Target’s homewares department features a wide range of essentials, from pillows to bed sheets as well as a line of electric blankets. Similarly to stablemate Kmart, also owned by Westfarmers, Target’s electric blankets are seasonal so you may not find them in store until next winter. We’ll update this page with all the details you need when the time comes. Target was the only brand in our 2018 review to rate three stars for overall satisfaction. It was also three stars for performance & reliability, plus ease of care. 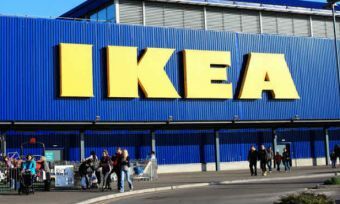 However, it earned a reputable four stars on value for money, ease of use and additional features – arguably some of the most important factors. Dimplex was founded in 1973 and is best-known for providing Aussies with a range of portable heating and air conditioning appliances. But it’s also a big player in the world of electric blankets. Expect features such as 12 hour timers and detachable controls to ensure its electric blankets are machine washable. The more advanced models are boasted for Micro Fleece material and various heat settings. 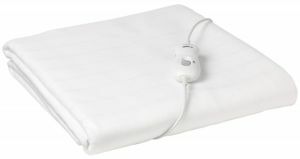 Dimplex electric blankets range in price from $85 to $210 for a king size pillow top electric blanket. Kambrook was founded in Australia in 1964 and is now owned by the Breville Group. It offers a large range of products from microwaves and blenders to heaters and vacuums. You might find a few similar features that are available in the Breville range such as Kambrook electric blankets also being machine washable. Other specs include thermoguard overheat protection and three-hour automatic shut off for safety. 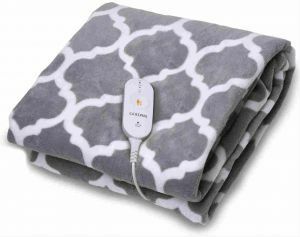 Prices start from as low as $70 and go up to $130 for Kambrook’s Dream Master Double Queen Fleecy Fitted Heated Blanket. Bambi is yet another Australian company, specialising in wool products including quilts, pillows, mattresses and electric blankets. It offers two styles of electric blankets, which will set you back between $95 and $250. Bambi’s fleecy electric blanket has a removable cover and is also available in a pure cotton electric blanket. In addition, expect a 10-hour timer, overheat safeguard technology and an LCD display controller. Goldair has specialised in home appliances for 30 years, particularly heating and cooling products. 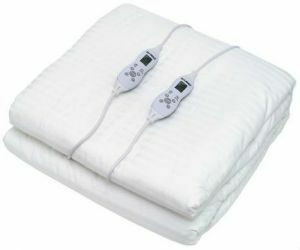 It offers a large range of electric blankets and most of them deliver numerous heat and timer settings. Expect detachable controllers, making the blankets machine washable. One Queen Fitted blanket also acts as a mattress protector, so you’re getting a two in one. 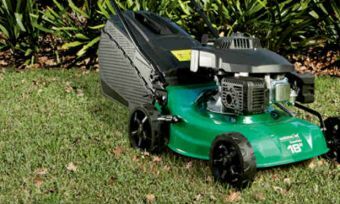 The Goldair range is relatively cheap when compared to some other brands, costing between $29 and $149 for the more advanced model. Performance & reliability was the most important driver of satisfaction for those who have purchased an electric blanket, followed by value for money. On average, Aussies spend $86 on their electric blankets, our survey found, which isn’t an insignificant amount of money. Therefore, it would be wise to explore your options first to ensure you find the one that ticks all your boxes and will last you for years to come. Electric blankets are placed in between your mattress and your sheets and heat themselves to keep you warm. They do this by heating an integrated heating device that spreads the warmth throughout the areas covered. This heat is distributed by carbon wires spread out in the fabric. For those with double or queen size beds, there are some electric blankets that come with dual controllers, to allow those on both sides of the bed to set their preferred temperatures. Most above-average-quality electric blankets will have a number of different heat settings you can choose from, ranging anywhere from 1-3 to 1-10. The heat setting is adjusted by using the controller, which can either hang loose or be attached to the mattress itself. Most people find that the highest heat setting is more than enough to keep nice and snug, and could even feel too hot. The general consensus is that the lower settings are perfect for keeping you just warm enough to survive those winter nights. What sizes do electric blankets come in? So, if you’re tall, you might want to make sure you’re getting one on the latter end of the scale! Otherwise your feet will still be cold – and nobody likes cold feet. Fitted electric blankets: are contoured to the shape of your mattress. They remain flat during the night and are generally not as noticeable as non-fitted blankets as they feel the same as the mattress beneath them. Again, you need to make sure that it fits your bed’s dimensions if you choose a fitted electric blanket. Non-fitted blankets: are also referred to as ‘tie-down’ blankets. They are called this because they do not fit around the corners of your mattress, but are rather tied down on top of your mattress and will generally only cover a portion of it. Non-fitted blankets have the advantage of being cheaper and easier to put on, but don’t give the same level of comfort. 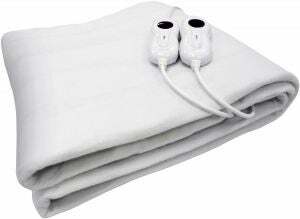 Electric throw blankets are just what they sound like – electric blankets that you can carry with you and use around the home, as long as you have access to a power socket. They resemble a traditional blanket and can be perfect for those rainy days where you just want to sit on the couch and watch TV. They also have the advantage of being generally cheaper than other heating methods, as they only need to heat a certain space. How much do electric blankets cost? Electric blankets in Australia can cost as little as $25, with the majority priced around the $150 mark. These are obviously for the standard models, while the more advanced ones can cost as much as $500. These expensive blankets generally come with more advanced features and higher quality cotton, but you’d have to determine for yourself if the difference in money is worth the difference in experience. The initial purchase cost is not the only thing to consider when you buy an electric blanket, because you’ll also need to know how energy efficient they are, as electric blankets can have a big impact on electricity bills. As you would expect, the more expensive electric blankets are often the most energy efficient. Are electric blankets energy efficient? 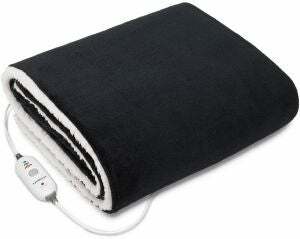 Generally, electric blankets consume very little energy. 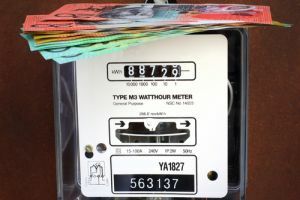 According to EnergyAustralia, electric blankets consume an average of just four cents worth of electricity an hour, which is much less than other forms of space heaters. In addition, 24% of survey respondents said they use their electric blanket around the house, not just in the bedroom (e.g. sitting on the couch), making it a versatile tool to keep you warm. However, 26% of respondents said they’ve noticed an increase in their electricity bill since buying one. Remember that running costs will vary depending on your energy tariff. For a three-month season (i.e. winter) you can expect to pay about $15 for one electric blanket, which will be more if you have multiple running. This figure could be less if your blanket has an energy-saving mode, so really, based on these figures, you’d be mad not to get one! If you don’t have a timer on yours, turn the electric blanket onto a high-ish setting about an hour or so before you go to bed, then turn it off when you’re ready to go to sleep. This will ensure that your bed stays warm for a while after you sleep, and saves power from not being on all night. Generally, yes, electric blankets are safe – so long as you take care of them and use them properly. More than three in five users (67%) said they worry about leaving their electric blanket on for lengthy periods of time, with 48% stating they researched safety warnings of electric blankets before making a purchase decision. All electric blankets sold in Australia must adhere to Australian Standards, which are safety measures that all electric blanket manufacturers must adhere to. While it is probable that the one you’re looking at qualifies, it can’t hurt to check. EnergyAustralia recommends replacing your electric blanket every 10 years, or less if you don’t tightly roll them up during summer when they’re not being used. After every season when you take them off your bed, check them for bent wiring, scorch marks, worn patches or other general signs of damage. If you see any, replace the blanket. It’s best not to take chances, even though an accident is unlikely. Make sure that you monitor your children’s usage. For young children in particular, it’s probably best if you set the temperature for them, due to the controls involved. Also, being children, they can forget to turn them off (although plenty of adults do that too!). Most importantly of all, try to avoid leaving them on all night if you can. It’s unnecessary, as they are very good at retaining heat, and being constantly heated can wear them out faster. In 2012, 40,000 electric blankets were recalled, and in extreme circumstances, electric blanket fires have occurred when people leave them on the highest temperature for an extended period of time. However, a lot of electric blankets that meet the required standards turn themselves off if they start to overheat, so try to get one of these models if you can. If you’re thinking of buying an electric blanket that is a little fancier, then you can find some that come with a variety of different features. We’ve already mentioned blankets that come with dual controls, 1-10 temperature settings and overheat settings, but there are plenty more that could make your sleep a much better experience. Illuminated screens: If you forget to turn your blanket off before going to sleep, it can be awkward fumbling around in the dark trying to find the controls. That’s why certain models come with controls that have an LCD screen that makes it easy to see in the dark, but remains dim enough to not keep you awake. Timers: While there are some who feel that it isn’t a good idea to have an electric blanket that can turn on when you aren’t home, there isn’t any danger as long as you put it on a low temperature. Timers can be extremely convenient, as you can set them to come on just before you’re ready to go to bed so you don’t have to do it yourself. Who even likes using their hands anyway? Removable controls: Separating the controls from the electric blanket itself means you can safely wash it like you would any other blanket. However, you need to check the instructions that came with your purchase to see if your blanket is compatible with being washed. 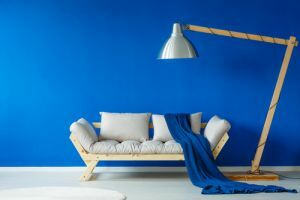 Hopefully this guide has been helpful in giving you an insight into what brands are on offer and whether you’ll purchase an electric blanket or not. And if you’re the kind of person who doesn’t feel bothered by the cold, then you should also know that electric blankets are believed to have certain health benefits, such as alleviating back pain and helping with breathing problems in the night. If you bear all of this in mind, then you’ll stand a good chance of buying the best electric blanket for you. Canstar Blue surveyed 3,000 Australian adults across a range of categories to measure and track customer satisfaction, via ISO 26362 accredited research panels managed by Qualtrics. The outcomes reported are the results from customers within the survey group who have purchased and used a new electric blanket in the last 2 years – in this case, 399 people.